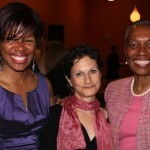 Melanie discusses breast cancer disparities in Breast Cancer’s Color Divide. Article by Melissa Pandika. Read the article. Melanie A. Nix joins President Obama and other health advocates and families as President Obama outlines his Precision Medicine Initiative. See Melanie’s precision medicine story here. Watch the video. 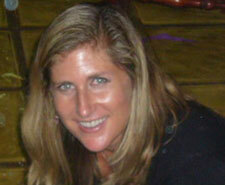 Melanie joins ABOUT Network Steering Committee. The ABOUT (American BRCA Outcomes & Utilization of Testing) Network is a patient-powered research network and registry created by FORCE (Facing Our Risk of Cancer Empowered) in collaboration with researchers from the University of South Florida. Melanie’s article Get Off the Sidelines and Help Win the War on HBOC (Hereditary Breast and Ovarian Cancer) is featured in the fall issue of FORCE newsletter. Melanie’s survival story is featured on the American Association for Cancer Research Foundation website. Melanie completes the 30th Anniversary of the Army Ten Miler. Melanie A. Nix is featured speaker at The Auxiliary to the National Medical Association 2014 Annual Convention Workshop II: “Women’s Health: My Triple Negative Breast Cancer Story”. Learn more about the NMA. 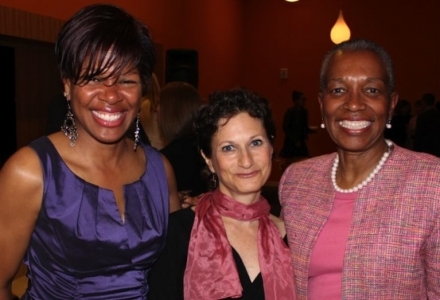 “Along with childhood friend and fellow triple negative survivor, Elizabeth Sargent, Nix developed Breast Cancer Comfort Site, which began as an online repository to document their respective journeys through treatment and create a roadmap for other women.” Read full newsletter. She’s Not A Statistic: Melanie Nix’s Story. 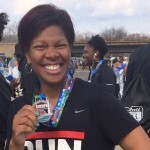 “Breast Cancer is a Big Part of My Life, but I Try to Celebrate Everything Now.” Melanie A. Nix’s triple negative breast cancer survival story is profiled as part of the American Association for Cancer Research National Cancer Research Month campaign in May 2014. Read more about Melanie’s story. Melanie Nix: Cancer Research Saves Lives 30 second commercial airs on CBS stations as part of the American Association for Cancer Research National Cancer Research Month campaign in May 2014. Melanie A. Nix Attends Newsbabes Bash Kickoff for Breast Cancer. 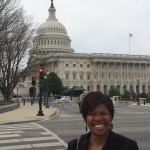 Melanie A. Nix joins other cancer survivors, patients, caregivers, researchers, physicians, nurses and government relations professionals to participate in the One Voice Against Cancer (OVAC) Lobby Day in March 2014 and ask members of Congress and Senate for increased funding for cancer research and prevention programs. Melanie A. Nix completes The Massey Challenge Ukrop’s Monument Avenue 10k to Benefit the VCU Massey Cancer Center in Richmond, VA.
Once sidelined by the debilitating effects of chemotherapy, Melanie A. Nix completes her first half marathon by running all 13.1 miles of the Rock ‘n’ Roll Half Marathon in Washington, DC. Patient-Centered Outcomes Research Institute Names Melanie A. Nix to Panel of Judges for PCORI Challenge. Click here to download a PDF copy or access the Digital Edition. Click here to view the 2012 Press Conference that includes Melanie A. Nix’s remarks in support of the report. Breast Cancer Awareness: Access to Care – click to watch video of roundtable discussion with Dr. Jill Biden, Secretary of Health and Human Services Kathleen Sebelius, Jennifer Aniston and Melanie A. Nix at Inova Breast Care Center. On this episode of Extraordinary Life Radio, host Sade Dennis talks with Melanie A. Nix, entrepreneur, breast cancer survivor and advocate, about living entrepreneurial dreams.